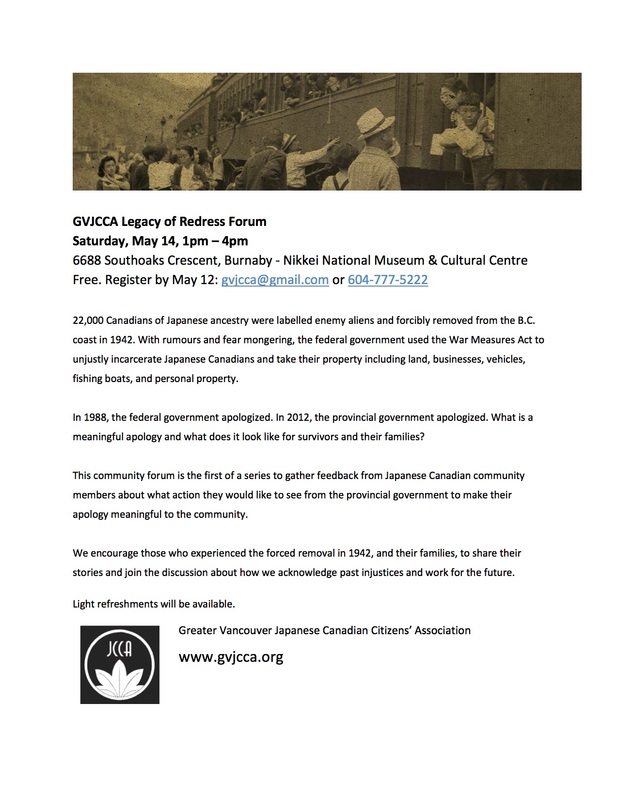 Update for the GVJCCA’s “Legacy of Redress” event on May 14th. Special guest speaker: Elder Larry Grant, who is of mixed Chinese and Musqueam ancestry, will share his story, and speak about historical injustice and reconciliation. Tags: explorASIAN 2016, GVJCCA, Nikkei Centre. Bookmark the permalink.